It’s not you, Malta, it’s us. Actually, it’s a confluence of events coming up. It’s the age that we are combined with the holiday season approaching. In other words, we have 3 weddings over the next 5 weeks leading up to Thanksgiving, Christmas, and New Year’s Eve. We’re not leaving Malta because we hate it – not at all! We’re simply leaving because the timing works out best for us with all these events coming up. It doesn’t make sense to keep paying for a rented apartment when we won’t be in it for 3 out of 6 months. So, with our lease ending soon anyway, we’ll be packing up and moving on again! For now, our plans are very short term (which is actually not at all different from all of our plans!). We’ll be heading to the Boston area for the upcoming wedding and holiday seasons with my family and friends. We’ll be braving a Boston winter (please send me warm tropical vibes), but loving some quality time with dear ones. In the new year, we’ll head somewhere new. Where that is, we haven’t yet decided. Suggestions are of course always welcome! We’ll wait for a bit to see what strikes our fancy or what opportunities might arise. There are a few options on the table already, so we’ll see what happens! While I grew up in the Boston area and we have visited my family and friends several times over the past few years, this will be the longest time I’ll spend in Massachusetts since I was 18 years old. I’m looking forward to exploring my old home once again. I’m excited to share this with the Irish-Colombian and to then share it with you, too. 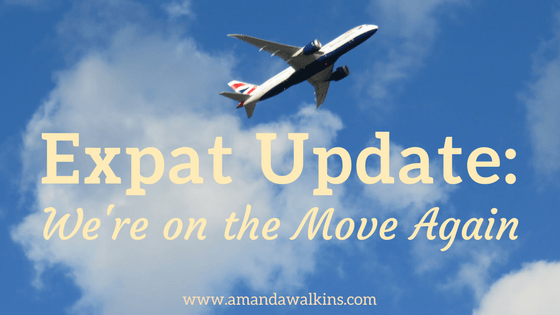 A huge part of expat life is actually the repat life. I’ve written before about how strange it feels to be back in a former home. I imagine I’ll have a similar experience this time around as well, but I also anticipate those feelings and have prepared myself for this repat experience. For anyone who might be in a similar situation, there are many groups you can connect with online to try to deal with going home after an expat experience. It can be a challenge, and it’s not something that your community back home is likely to understand, through no fault of their own. A favorite group I’ve joined is I Am a Triangle. This welcoming community is wonderful for all expats, and it’s especially helpful for those going home after time overseas. Whether it’s the repat adjustment or our latest explorations around Boston, I’ll be sure to share some of our experiences here on the blog. And, as usual, I still have tons of other content related to Malta (and even further back to Ireland, Scotland, and Roatan!). That’s another thing I’m looking forward to in going back home. We’ll be staying with my parents – because they’re fabulous and offered to take in our wandering souls – which offers us a chance to take a breather on the constant bills and instead focus on some passion projects. This blog is a passion project – my income comes from freelance work, and constantly spinning my wheels to make ends meet from that work means I have very little time or energy left for my own writing. I’ll be devoting more time to this site while also taking on a few other opportunities while in the Boston area. More on that to come! We are so very lucky to be able to live this lifestyle. From the support of our families and friends to the endless remote work opportunities available online now, we are truly, so incredibly privileged. We intend to maximize our opportunities while also finding ever more ways to give back to the communities and people who take us in and who become a part of our world. I hope you’ll stick around to see what’s next for us. It’s been one hell of an adventure so far…and I don’t think we’ll be stopping anytime soon! We’ve been expats in multiple countries, including Honduras, Scotland, and Ireland. We have most recently been living on the Mediterranean island of Malta.